Give Me Your Raisins or Else! 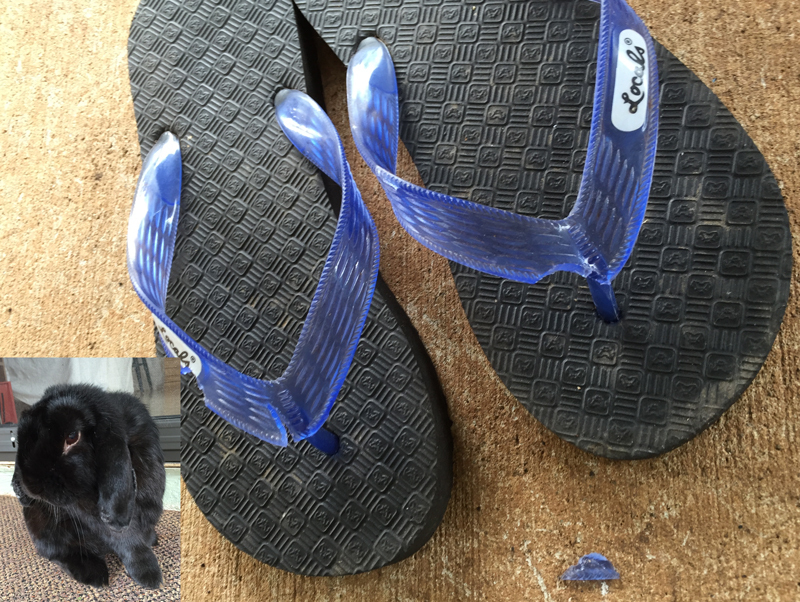 Mopsie was angry that no one realized he was at the lanai door for his morning raisins, so he picked up an offending slipper with his teeth, gave it a good shake and took a chunk out of it. The slippers pay the consequences. It’s funny… as long as it’s not your slippas! Ha! Ha! At least he was nice enough to have left you the piece… maybe you can super glue it back… hee! hee! They ARE my slippers! He is biting the hand that feeds him. He’s smart enough to be doing this to his Dad’s slipper and not Mom’s. They ARE his mom’s slippers! He is like Genghis Khan disguised as a rabbit.